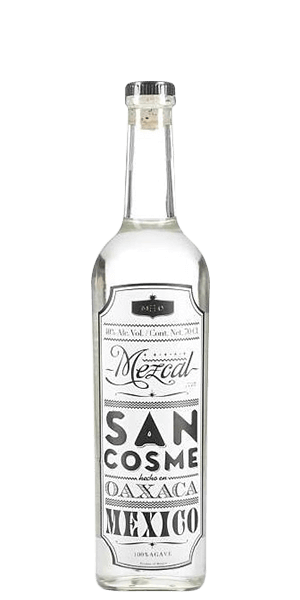 Mezcal San Cosme Oaxaca is adored for its smoky, agave, apple and pepper flavor notes. This Mezcal is carefully distilled at San Cosme distillery, Mexico. Based on 22 votes, the average rating for Mezcal San Cosme Oaxaca is 8/10. — It's smokey with an intense agave taste, I've used it in Bloody Cesar instead of traditional vodka and it's absolutely astonishing with tomato juice. — is a very good, intense agave made with 100% Espadin; possessing a beautiful, complex palate with smokiness & caramel sweetness. It's smokey with an intense agave taste, I've used it in Bloody Cesar instead of traditional vodka and it's absolutely astonishing with tomato juice. is a very good, intense agave made with 100% Espadin; possessing a beautiful, complex palate with smokiness & caramel sweetness.